The Senate’s longest-serving Republican is retiring at the end of this Congress, and he’s been slowly, but surely, packing away decades of accumulation. 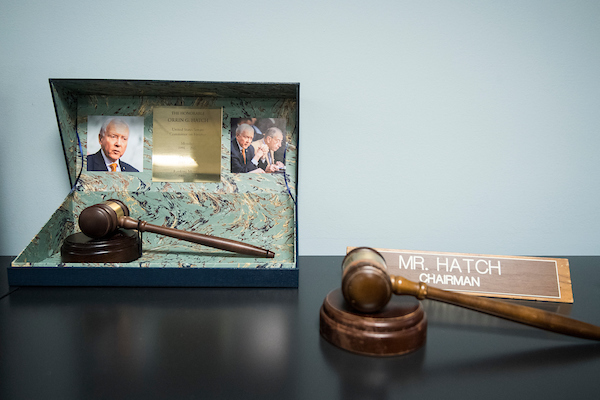 President Pro Tempore Orrin G. Hatch began sending boxes of belongings back to Utah about a year ago, but you wouldn’t know it from his personal office on the first floor of the Hart Building. During a tour of his office Tuesday, Hatch reminisced about his legislative accomplishments over a career dating back to 1977, and his legislative partners from years gone by. Hatch returned to this point Wednesday in his farewell speech on the floor. “By choosing friendship over party loyalty, we were able to pass some of the most significant bipartisan achievements of modern times — from the Americans with Disabilities Act and the Religious Freedom Restoration Act to the Ryan White bill and the State Children’s Health Insurance Program,” the Utah senator said. Nine years after Kennedy’s passing, it’s worth asking: Could a relationship like this even exist in today’s Senate? Through the years, Hatch ended up serving as chairman of three Senate committees: the panel now known as Health, Education, Labor and Pensions as well as Judiciary and Finance, which he currently heads. 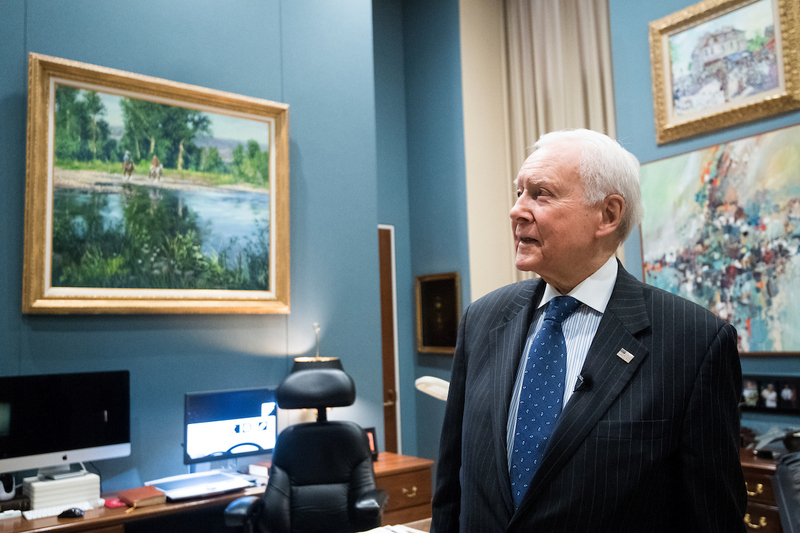 Hatch said the artwork that adorns the walls of the office is from his own collection, including pieces purchased with his own money from Utah artisans. None of the pieces were on loan from other national collections. The piano, he said, was a gift from the music industry years ago. Among Hatch’s final legislative success stories was bipartisan songwriting royalty legislation along with Tennessee Republican Lamar Alexander, which was signed into law in October. Hatch is a songwriter and performer himself. “That was a big, big-time bill. That was not some itty-bitty song bill. That was a bill that changed the whole music industry,” he said.